Hypnotherapy is a Talking Therapy and combines Psychotherapy and Hypnosis. Contrary to popular belief hypnosis is a natural phenomenon and completely safe. Simply a physical relaxation with mental focus, described as an altered state of consciousness that enables your therapist to induce a state of deep relaxation. 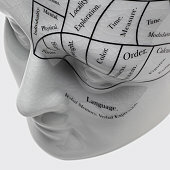 During this process the conscious part of the mind (rational, analytical and aware part of the mind) is relaxed and temporarily bypassed, allowing your therapist to communicate directly with your unconscious mind to make beneficial changes by safely re-programming the unconscious mind to eliminate bad habits and modify/alleviate psychological and emotional problems. I specialise in Hypno-analysis (a therapeutic technique that utilises free-association to release and resolve repressed emotions, conflicts and anxieties) and combine with Suggestion Therapy. Both therapies are effective for the specific conditions/symptoms they treat and are applied depending on my clients individual cases. On occasion both therapies can be combined. The British Society of Clinical and Experimental Hypnosis states that “hypnosis usually involves the person experiencing a state of deep relaxation with their attention narrowed down and focused on appropriate suggestions made by the therapist”. Is a type of psychotherapy that works on the principle that every effect or symptom has a cause. This is a gentle and effective therapy that identifies the underlying cause and provides a solution to more deep-rooted psychological or emotional issues. The key to analytical therapy is that it enables you to access your unconscious mind and recall the experience that relates back to the root cause and by releasing these trapped emotions the problem is resolved permanently. Hypno-analysis is effective for a vast number of conditions some of which include emotional problems, panic attacks, phobias, irrational fears, relationship problems, sleeping disorders, stuttering, psycho-sexual problems and most other problems were a psychological factor may be involved. This is a completely safe and natural method that will result in a positive and permanent change in your life. Therapy normally consists of six to ten hourly sessions, held on a weekly basis. Suggestion therapy is effective in the treatment of minor or habitual conditions such as smoking, nail biting, confidence, performance/exam nerves, weight control, relaxation... to name but a few. It is important to note that this is a short term solution for some conditions and hypno analysis may be required to successfully eliminate the problem long term, as suggestion therapy alone does not include analytical therapy and therefore does not establish the root cause of the ailment. pleasant state of relaxation and can be compared to the pleasant feeling of daydreaming. At no time are you asleep, you are aware of everything around you and most importantly... in control at all times. Want to know more? Read my most Frequently Asked Questions about hypnotherapy. To discuss my therapy, your symptom or if you're ready to make that positive change in life, email hello@therapyinthecity.co.uk or complete the contact form. If you do nothing... nothing changes!